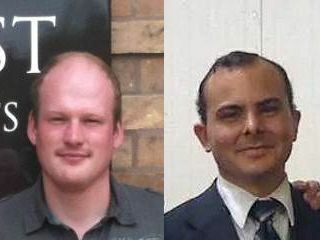 We are joined by UK Christian evangelist Bobby Gilpin and US Mormon apologist Michael Flournoy for a thoughtful and friendly transatlantic debate on the subject of Mormonism and the Gospel. Does The Church of Jesus Christ of Latter-day Saints (LDS) preach the biblical Gospel? Or are many of its key teachings at variance with the Good News in Jesus Christ as contained in the Bible? Arguing in favour of the motion - "The Mormon Church teaches a different gospel to the Bible" - is ... Maggiori informazioni Bobby Gilpin, who opens the debate ; arguing against the motion is Michael Flournoy, who speaks from his own conviction that the Bible is compatible with LDS teachings.